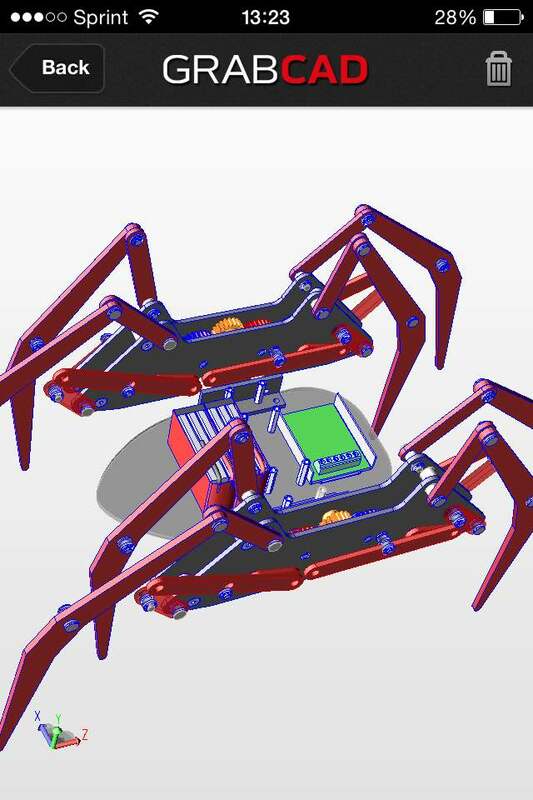 Browse the CAD Library and receive updates about your Workbench projects. 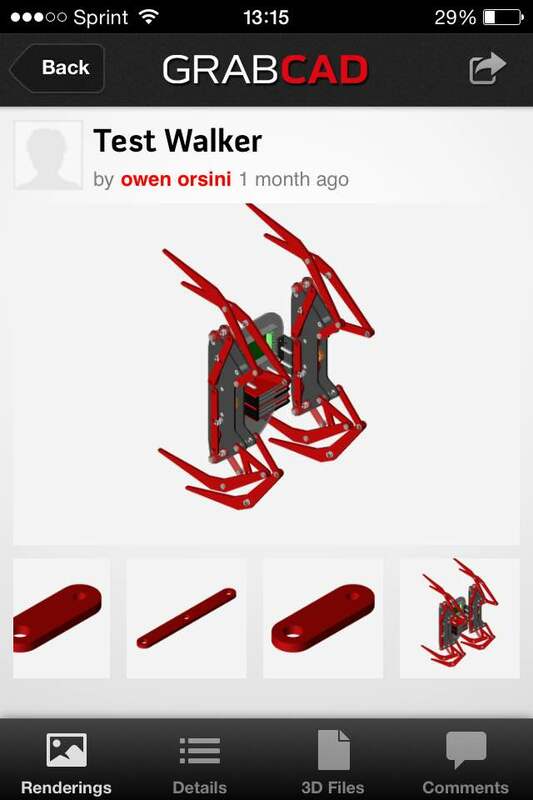 View all of the CAD models you can see on GrabCAD.com, however the 3D viewer in the mobile app currently supports only basic zoom and rotate. Although there is no option to download files from the app, it is possible to upload files on your phone to GrabCAD. If you open a CAD file from your mailbox or downloads folder, your phone will ask you to choose a program, and GrabCAD should be one of the options. From there you should be able to upload the file to your project. 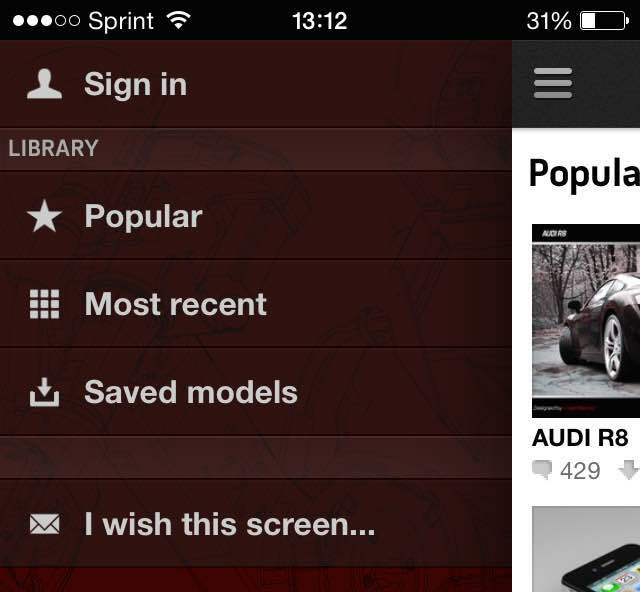 Once you have downloaded the Mobile App you can start browsing the community library. In the sidebar you have three options to view the library models. The most popular models will be accessible from this option. The most recently uploaded models from our community will be accessible here. Any models which you have selected the download icon to the right of the GrabCAD logo in the 3d viewer screen will be accessible here. 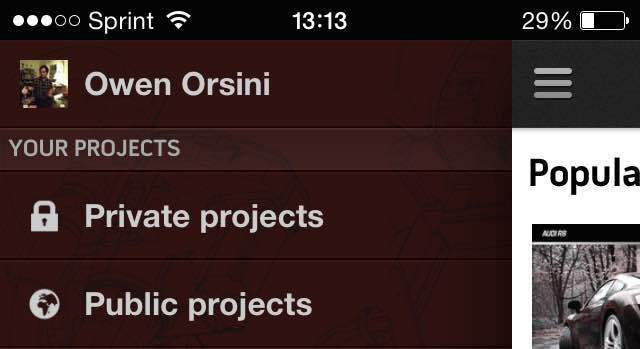 Once you have logged in through the app you can then see your personally uploaded projects. Here you can see pprivate projects which you have uploaded through Workbench and public projects uploaded through the community. Once you have selected a model to view you are brought to a screen which has several options which include viewing renderings, viewing the project details, viewing the model in the mobile 3D viewer, and the comments section. You can get to the 3D view of a model by selecting the "3D Files" option and selecting the file you want to view. Once you are in this view you can rotate the model by swiping your finger across the screen and you can also zoom in and out by using two fingers to pinch the touch screen. At the bottom left corner of the screen you can see the different axis so you know which orientation you are in at all times. 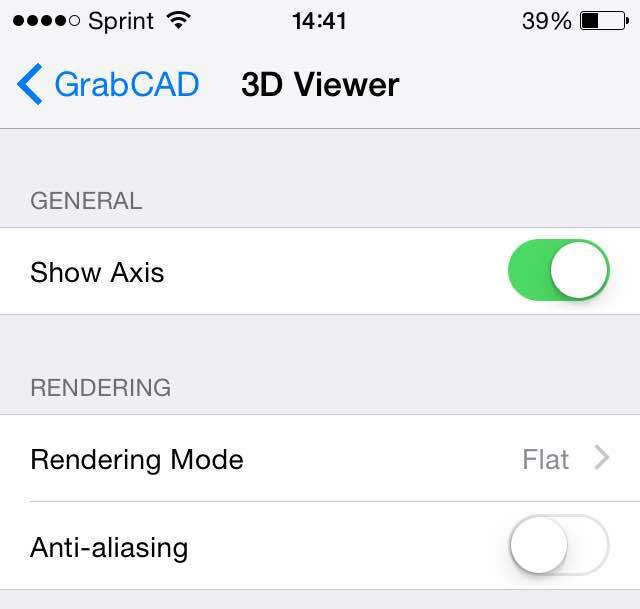 In the mobile app settings you can toggle the and axis display and anti-aliasing option as well as change the rendering mode.